Since 1984, BBM Youth Support has provided over 1100 awards to young people who have a clearly defined goal and a desire to succeed. For many, the impact of the award lasts for a lifetime. Some have become international celebrities while others become inspirational quiet achievers. We keep in touch with many of our past awardees and love to share their successes. Ballet star and triple Helpmann Award winner, Steven Heathcote AM, spent 20 years as Principal Artist of The Australian Ballet. After retiring from the stage in 2007 he appeared in Bruce Beresford’s ‘Mao’s Last Dancer’ and has been involved in the direction of three operas. 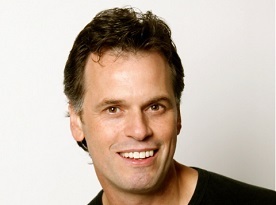 In 2014 he returned to The Australian Ballet as Ballet Master, coaching and mentoring company dancers. He is now helping other young dancers by being part of the selection panel for BBM Youth Support Awards for Ballet. 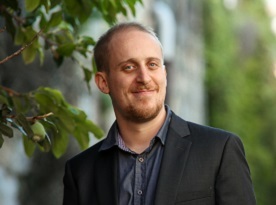 Classical pianist Simon Tedeschi is referred to as one of the finest artists in the world. He gave a private recital to Italian tenor Luciano Pavarotti when he was just 13 years old and his hands famously played the piano for actor Noah Taylor in the Oscar winning movie Shine. Simon is as comfortable performing on the international stage as he is sharing the joy of classical music with pre-schoolers in the Sydney Opera House Kids’ Proms. He has also supported young musicians as a recommender for our Music Awards. Actor Nicole da Silva appeared in the television series, Rush, then as Franky Doyle, one of the main characters in Wentworth Prison, the number one primetime Australian drama in the UK. In 2014 she won an ASTRA award for this role. On graduating from University in 2002, Marika Aubrey used her BBM Youth Support Award to study in the UK specialising in specific theatre methods unavailable in Australia. Her successful musical theatre career has included South Pacific and Miracle City as well as her own cabaret shows. 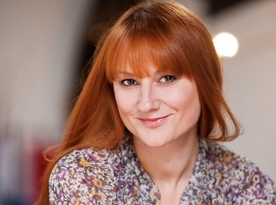 Marika runs masterclasses in musical theatre and acting for young actors. She has presented at one of our prestigious awards nights before starring in “Matilda the Musical” and then heading to New York for work. 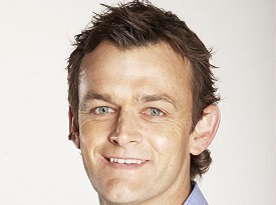 Acknowledged as one of cricket’s greatest wicketkeeper/batsmen Adam Gilchrist AM travelled to England as a 17-year-old through a BBM Youth Support Award to play cricket for Richmond Cricket Club, near London. In his own words Adam sums up the impact of the award at the start of his career: “Without doubt, that year was the most important year developmentally for me as a cricketer and as a person”. In addition to being a World Vision ambassador and Patron of Ronald McDonald House in Perth, Adam is also Chair of the National Australia Day Council and a member of the Order of Australia (AM). 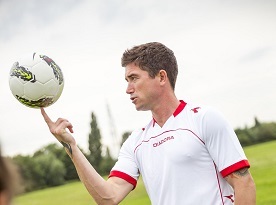 At the age of 15, a BBM Youth Support Award enabled Harry Kewell to travel to Leeds United to trial with its youth team. After 8 successful years with Leeds Harry went on to win a UEFA Cup Champions League Trophy and an FA Cup title with Liverpool FC as well as earning 58 caps playing for Australia. He is currently developing a love of the game in young footballers through the Harry Kewell Academy.